I operate out of Indianapolis and run a route from Chicago to Dallas Fort Worth, Austin, San Antonio, Houston, New Orleans and up through Tennessee and Kentucky. Equipment includes 2 2014 Ram 3500 Duallys, 2014 Chevy Cargo Express Van, 24ft enclosed, 20ft enclosed and a 18ft deckover flatbed. I own all of my equipment to outright so I can quote lower than anyone. Cargo insurance of 50,000 is included. We are hotshot haulers and can haul up to 15,000. We have a enclosed 7ft high 30 ft. long. and a 24ft deckover trailer. We are fully insured and registered with FMCSA. Our drivers all carry a CDL license. Up-to-date medical and random drug testing. We are a family owned business. We take great measures to assure the safety of our drivers and the cargo they are hauling. We are here to service all your hotshot needs. I have a Ford f350 superduty and a 3/4 auto hauler wedge trailer. US Dot. 150k/1 million in insurance. Experienced and ready looking for loads predominantly South East and dedicated routes. I'm a retired over the road truck driver of 20 plus years slowing down now getting in Hot Shot trucking. I have a Ford truck with a 34 ft. goose neck open car trailer. We have cargo vans and can transport up to 1700 lbs. We are a Veteran Owned and Operated Hotshot Carrier based out of Stonewall, La. We haul all general freight and equipment. We are insured to haul in all 50 states but mostly in the Southern, Northeastern and Southeastern states. We are a hotshot company running a 2015 F450 and a 40 ft flatbed with ramps. We can move up to 16,000 lbs. TLC Transport has been in business for 3 years. We do both long and short hauls and we can cross state lines and we have cargo insurance. As you can see from our picture, we have a larger truck than most hotshot carriers and our 44' trailer is also longer than most others so we have a lot of deck space and we can carry up to 20,000 pounds. We look forward to having an opportunity to serve you. Please contact us for a free quote. I have a 2013 Dodge dully 3500, a 30ft. gooseneck flatbed trailer with slid in ramps. Have all my own Authority, MC, USDOT and insurance. Looking for Florida Intrastate and/or Interstate loads. I am private owned company ready to haul in style. I have a ford 450 ready to run. No matter what I GET THE JOB DONE. We are hotshot carrier that operates a one ton dually with a 24 ft or 36 ft gooseneck trailer with the capacity of hauling 13,000 lbs. Both trailers have ramps and Tarps. 100k cargo and up to date dot and mc numbers. Call or text for a free quote on your next load . We run a 2015 Ford F350 with a 36ft gooseneck flatbed with hydraulic dovetail. We are looking for loads out of Mississippi or surrounding states. We can haul a 20,000lb payload. We have 150,000 cargo insurance and 1,000,000 liability insurance also general liability. We have our own MC and DOT numbers. New just getting started and got a new dodge ram2500 and 25 foot load trail trailer. Located outside of Pittsburgh PA.
Any questions olease call me, thanks. If you need something hauled, look no further! 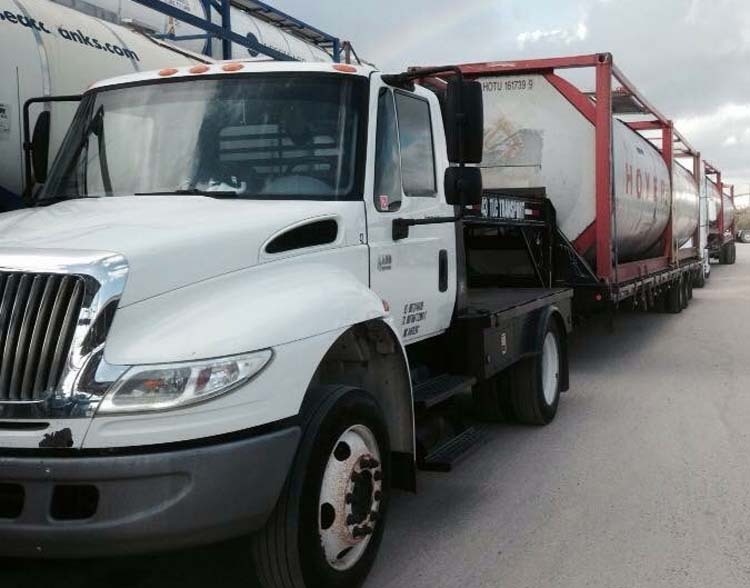 JZX Transport is owned and operated by all the best and highly qualified drivers based out of Houston, TX. We offer competitive rates with drivers that are fully licensed and insured. Call JZX Transport today for your free quote. We have a 2015 ..3500 Dodge Ram with a 2015...40 FT goosneck trailer with mega ramps or some may call it dove tail. We run a new 2016 ford f550 a new 2016 gooseneck trailer with 36' lower deck and 5' upper deck. We can carry 20000 lbs. We are a new company, working out of Kentucky. We are always on the look out for loads out of Kentucky to anywhere. We have a 2015 Dodge Ram 2500. Have gooseneck, fifth-wheel and bumper hitches. We have our own insurance and our load capacity is 26000 lbs. We are willing to travel any where in the lower 48 states. Owner operator of a hot shot delivery company. We can haul up to 12000 lbs. We are DOT compliant. Insured. Covered in all 50 states but prefer to remain in the southern states. 2010 3500 dual wheel truck with a 40 ft flatbed trailer. We operate a Dodge Ram 4500 , with a 35 ft. flatbed trailer with mega ramps. We can load 17,000 lbs. Looking for work in Florida. 2006 3500 Dually, with our own Mc# and DOT#. 14,000 lbs. 9 years in hotshot business. Retired law enforcement owner/operator with safe driving record. 2012 Ram 3500 4x4 dually. 2016 35'gooseneck tandem axle duals with 5' monster ramp dovetail allowing for 40' deck space. 24kGVW, can haul over 15k lbs. 2015 24'enclosed car hauler, tandem 5000k axles. Can haul 6000 lbs. Licensed and insured. If you need something hauled, look no further! Veteran Trucking Company is owned and operated by Military Veterans! We offer competitive rates with drivers that are fully licensed and insured. Call Veteran Trucking Company today for your free quote. I have been in business for 9 years and have traveled all over Central and the East Coast, hauling equipment. I have 2 Ford trucks with 2- 5th wheel trailers. I am licensed and insured and have a USDOT#. I have a CDL A driver who can travel intrastate. New equipment, fully licensed and insured up to 17,000 payload, 40' Big Tex trailer w/megaramps. 2014 1-ton dually and multiple trailers. 2015 dodge ram 3500 with Allison transmission. 2015 big tex 40 foot trailer with ramps. I am the owner of a one ton with 30'gooseneck trailer, I run under My Lessor's authority. Oilfield based, I am an employee of S.T. for 10+, greatest respect shown from the office, exceptional drivers of whole fleet. We are company looking to grow in the transportation business. We have box trucks and cargo vans that have been in expediting service. We are a dependable hot shot service with one 18 wheeler with trailer with ramps and one 1Ton pick up goose neck with a 30ft trailer with ramps also. Located west of Dayton near Indiana state line. An hour from Cincinnati, Columbus and Indianapolis. I have 2 semi's and a pickup truck to service your shipping needs. We also provide power only for your trailer or we'll use our own. We are a hotshot company out of West Georgia. Insured 100,000 cargo and 1 million liability. We run a 2015 Ford F 450 and a 40 ft Big Tex flatbed trailer with ramps. We can move up to 16,000 pounds. Give us a call for a fast quote. Have hotshot 2015 Ram 3500 1-ton with 35 ft pj goosneck with monster ramps. MC#934511- DOT-2795644. also have e250 cargo van for 2000lb or lower palletized loads for hotshot. I'm reliable and my equipment is well maintained and reliable. I am a former Marine of 9 years, so this is a veteran owned and operated hotshot business. 2016 F350 Dually with 24' enclosed pro car trailer. Dot, MC, fully insured and running 8k or less total loads. Cars, freight, and just about anything...give us a shout or send a request through the website for a quick quote. Located in Los Angeles, I provide long distance hot shot deliveries with a Cargo Van to any destination in California. I can pick up your goods anywhere in Los Angeles / Southern California and deliver to you anywhere in Northern California. I can pick up your goods anywhere in Northern California and deliver to you in Los Angeles / Southern California. Owner Operator Hotshot Carrier, 3500 Dodge Dually, Ford 550 with 28ft and 2 25ft trailers with ramps. We run GA, Fl, Al, NC,SC, TN, KY, MS. Customer service is priority. Always on time and always ready to get the job done the right way. We safely transport your freight. We do Hot Shots, local pickup and deliveries. Wherever you need your freight to go we will take it there for you. 2500 High Top Sprinter van, weight capacity 3000 lbs. Own MC and DOT numbers. Can haul 17,500 lbs on a 33 ft flatbed with ramps. Have own authority and insured. Just a one man operation, will run the lower 48.